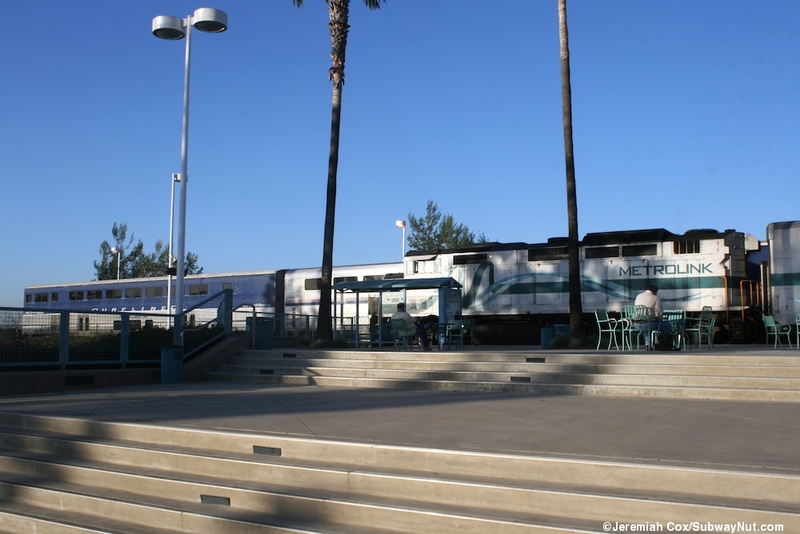 Today Irvine is the forth busiest Amtrak station in California and 17th in the Nation with 664,263 riders in FY2011, equal to Seattle and Portland, Oregon, beating every station in the midwest except for Chicago. 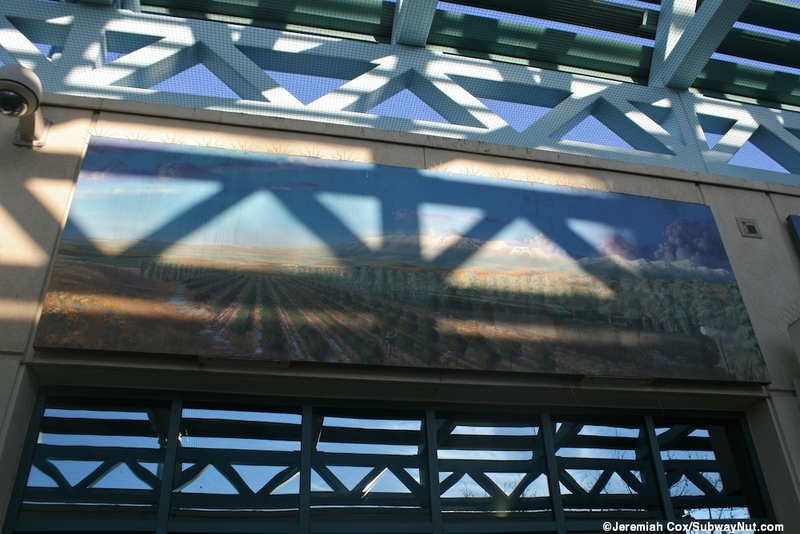 The station had a severe parking shortage in its early years and was the main catalyst behind building the nearby Tustin and Laguna Niguel/Mission Viejo. 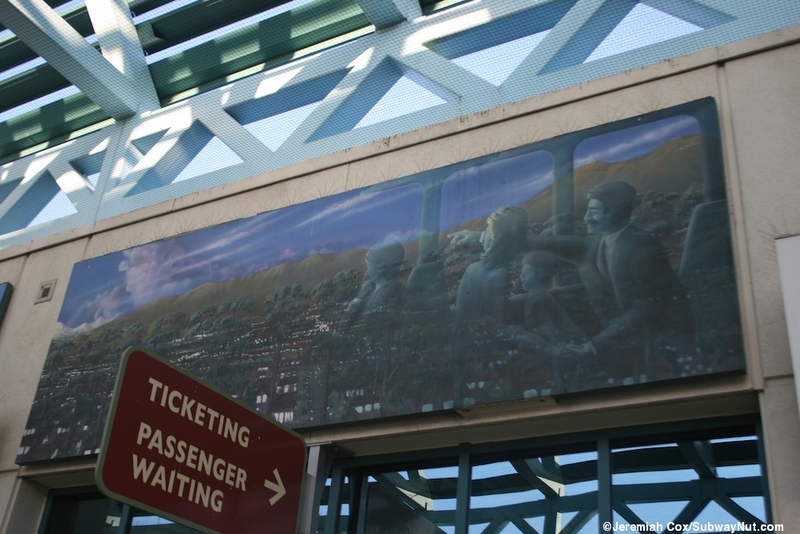 A new 4 Level parking structure opened on October 2, 2008. 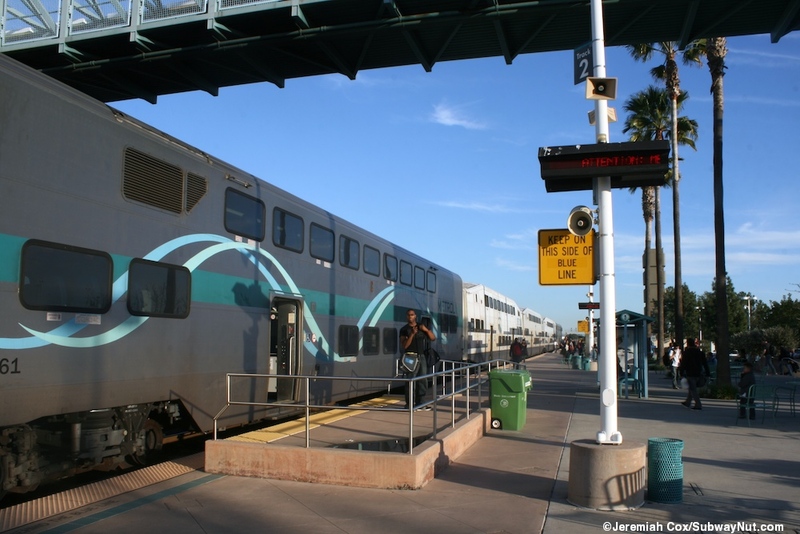 All 11 daily trains (including the SD to LA Express) stop along with all Metrolink Trains, 7 on the Inland Empire/Orange County Line including 1 AM and 2 PM rush hour trains that quickly terminate (with about ten minutes of layover time) in the station, ten on the Orange County line and the 3 OCTA sponsored late afternoon-evening Fullerton to Laguna Niguel/Mission Viejo Roundtrips. 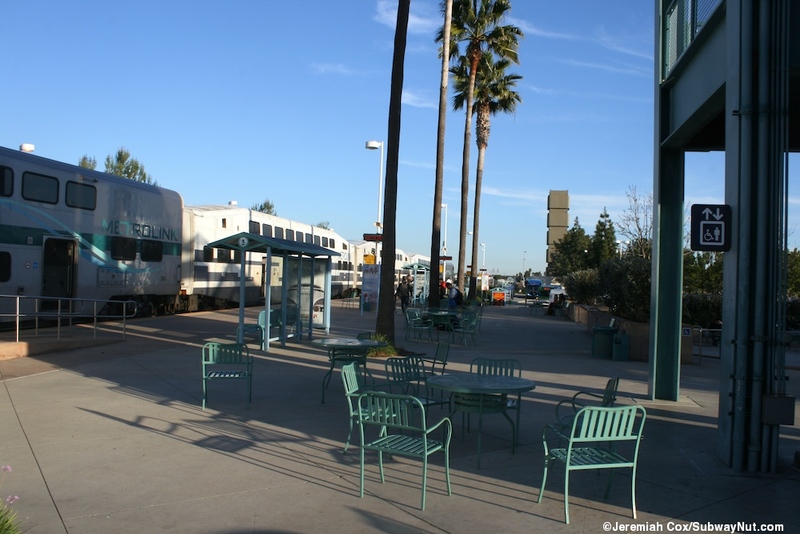 Bus connections from the station include 7 OCTA Routes and 2 of the 4 iShuttle Routes which connect Irvine with Metrolink. 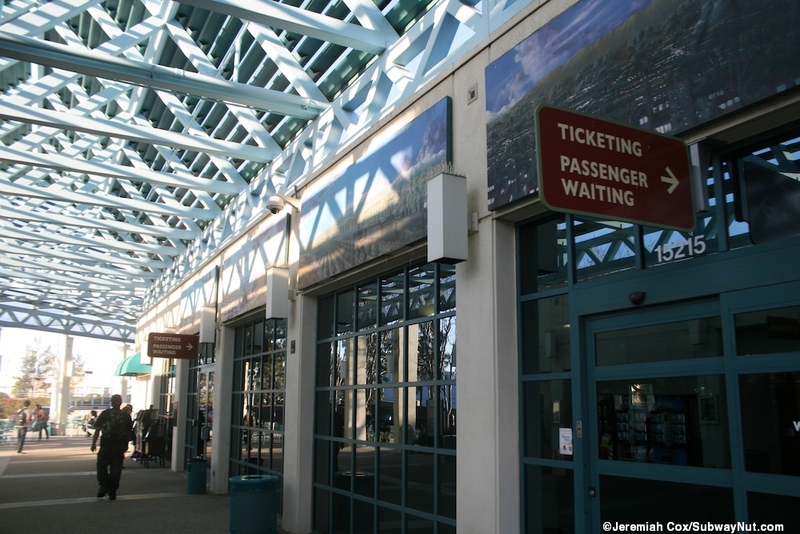 From November 2009 until August 13, 2012 after it was deemed unprofitable (with a $21.89 operating loss per passenger in the last fiscal year) a non-stop Flyaway Bus ran six-times per day to LAX Airport which has its own dedicated long-term parking lot south of the station, running just six times a day and costing $24. 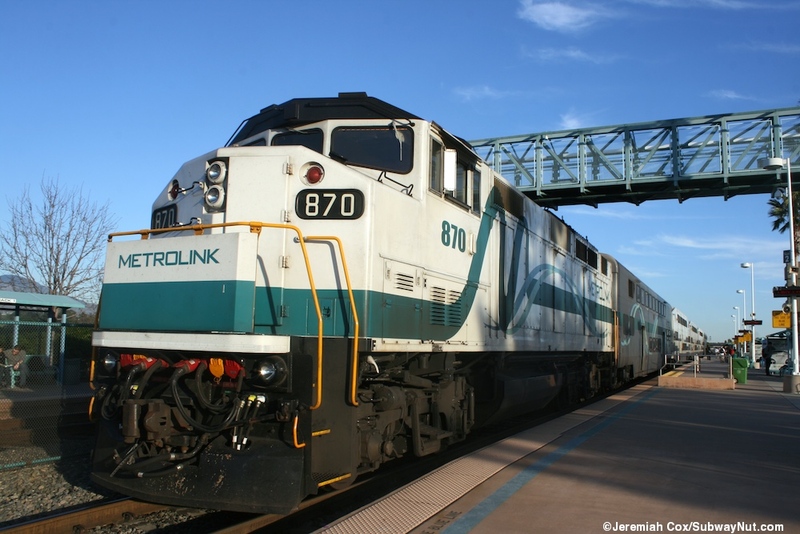 It is a rip-off with it virtually the same price $17+$7 to take Amtrak into Union Station to that Flyaway bus or Metrolink for only $9.75+$7. The station has two side platforms for the two track line, these each have five blue bus stop shelters (complete with advertising panels) that have benches beneath and provide the only shelter on the platforms. 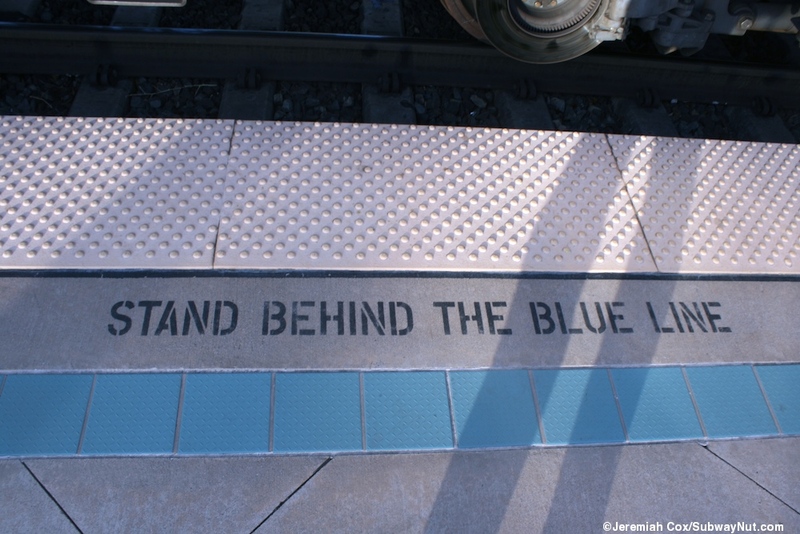 The platforms have yellow tactile warning strips and secondary blue lines beyond with 'Stand Back from Blue Line' written in the pavement (for protection against wide freight trains) instead of the standard back from the Yellow line. 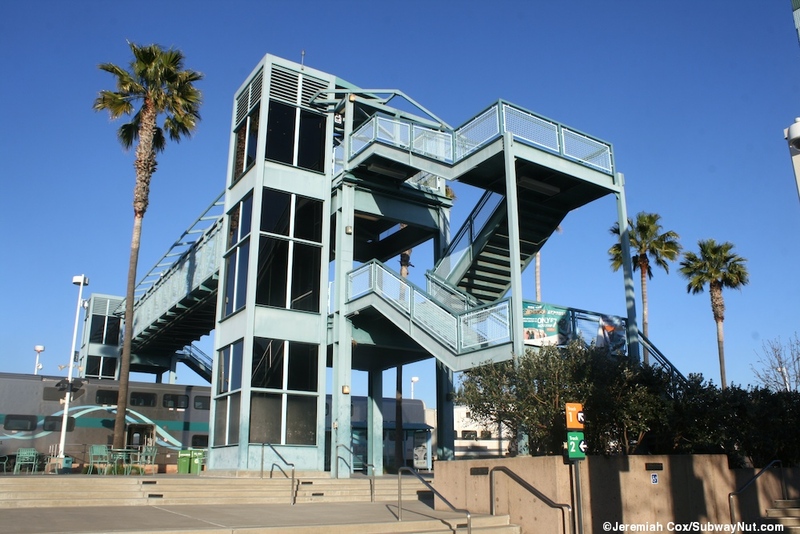 The platforms are connected by an unenclosed pedestrian overpass with staircase and elevator access (the elevators have 3 landings, one just an intermediate one with the staircase, leading to nowhere, I guess so you can only walk up half the stairs?). 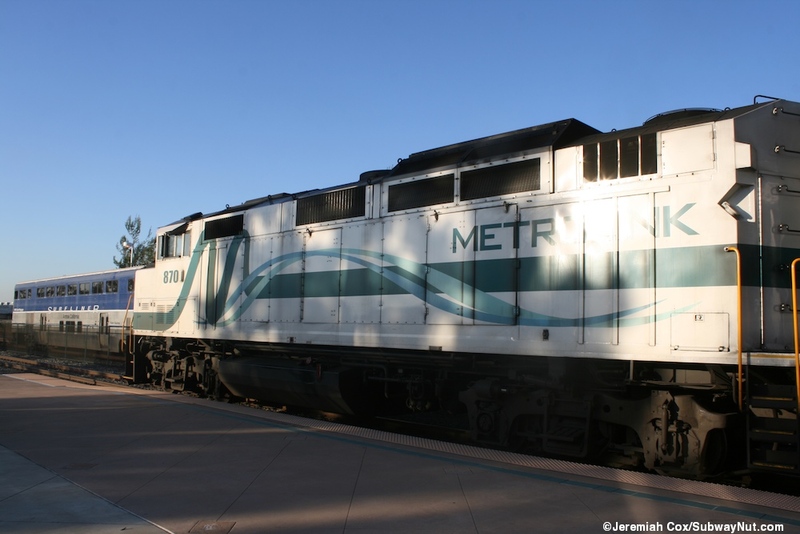 Track 1 for northbound trains to Los Angeles and San Bernardino's only access is via the overpass, it overlooks the Marine Corps Air Station El Toro, decommissioned in 1999 and being redeveloped into the Orange County Great Park (parkland and another housing development). There is a sidewalk to a locked gate and Marine Way and hopefully when the land is redeveloped a station entrance will be built here to allow for easy access for users. 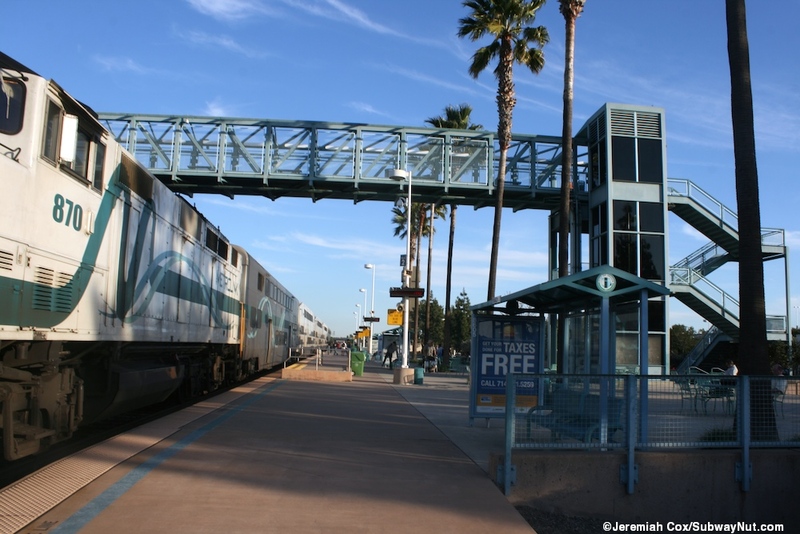 The Oceanside and San Diego-bound track 2 is where all of the station amenities are. It is a few steps up from the exit points beneath (there are also ramps). Along the southern half of the platform is the station's bus loop. 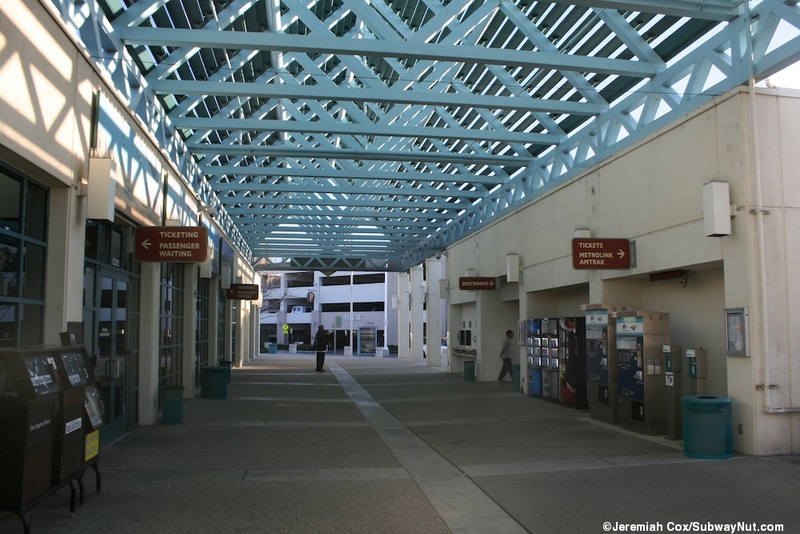 Next is the main transit center and pedestrian plaza of the station, the transit building is a single story outdoor oriented modern building with a central outdoor walkway (with a blue gabled roof). 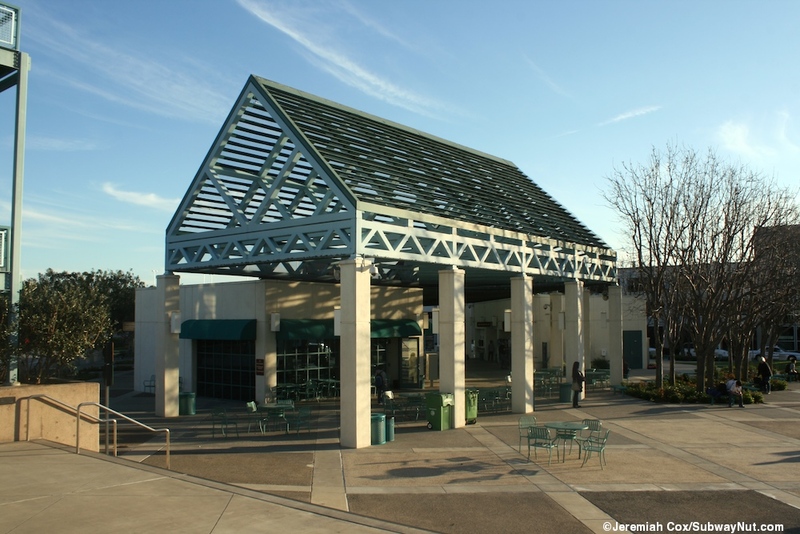 Around the transit center a number of cafe style outdoor tables and movable chairs, a slightly different seating choice. 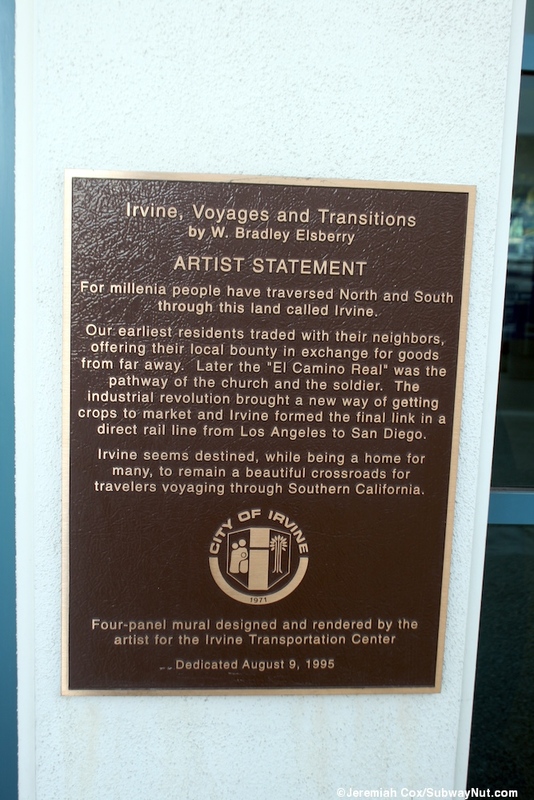 Above the windows along this walkway are four panels of murals called Irvine, Voyages and Transitions by W. Bradley Elsberry, dedicated August 9, 1995. 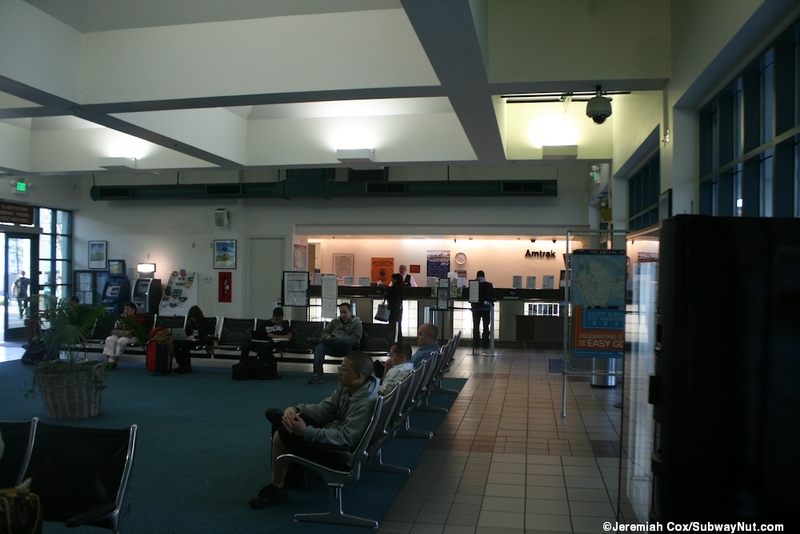 The building has a few concessions and a nice large waiting room staffed by Amtrak (it is the 17th busiest station in the United States) but lacking any baggage service or provisions to accept baggage. 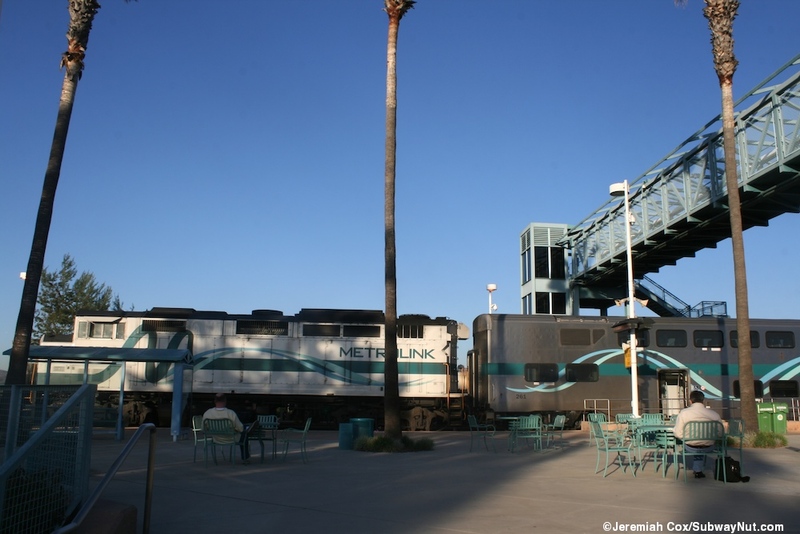 There are modern benches for Amtrak passengers and even a Quik-Trak Machine although Amtrak tickets can also be purchased at the Metrolink TVMs outside of the waiting room. 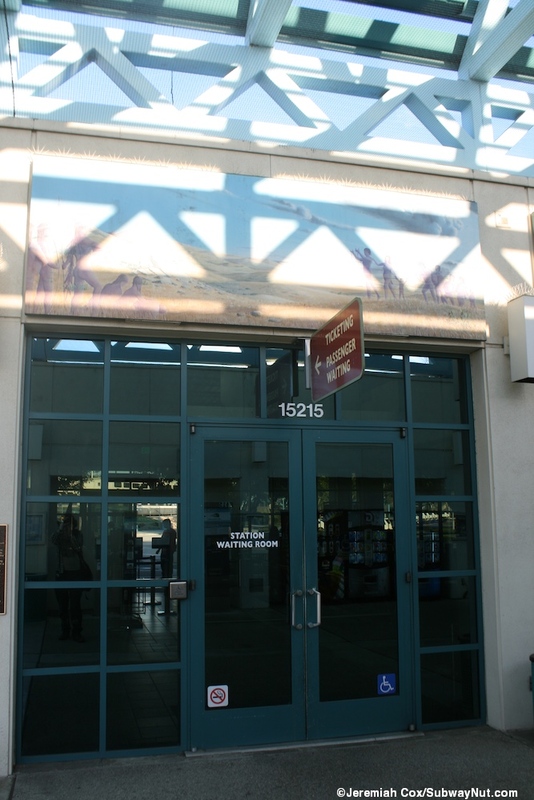 There are restrooms accessed via exterior doors in the building area and north of it is a separate passenger pick-up and drop-off loop. 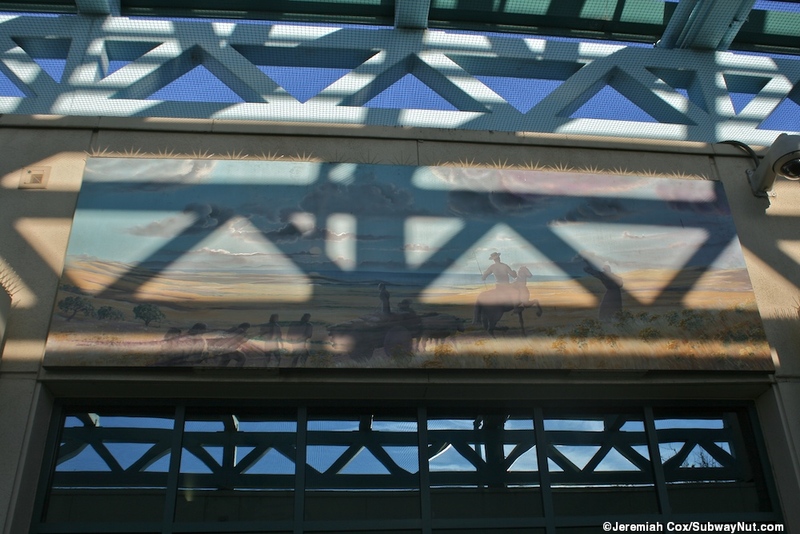 Behind everything is the modern 4 story parking garage with 1,993 parking spaces and a 72 hour complimentary limit. 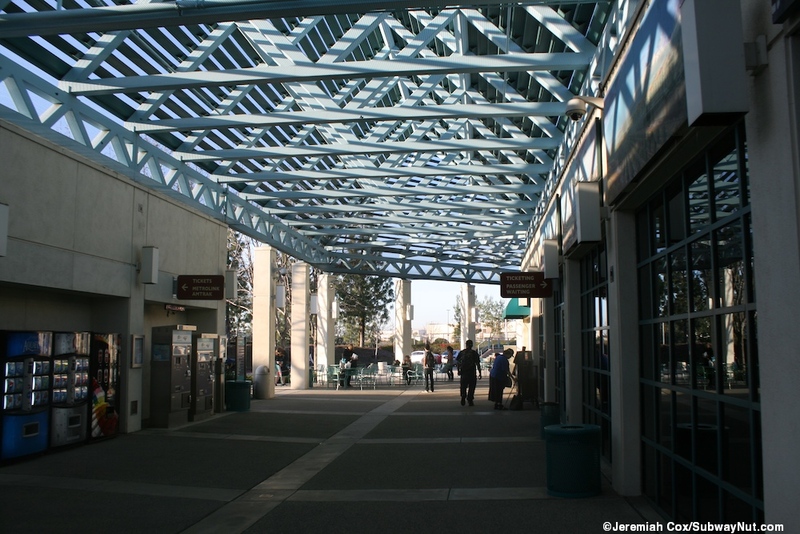 There is also the 500 space parking lot just south of the station for Flyaway Customers. 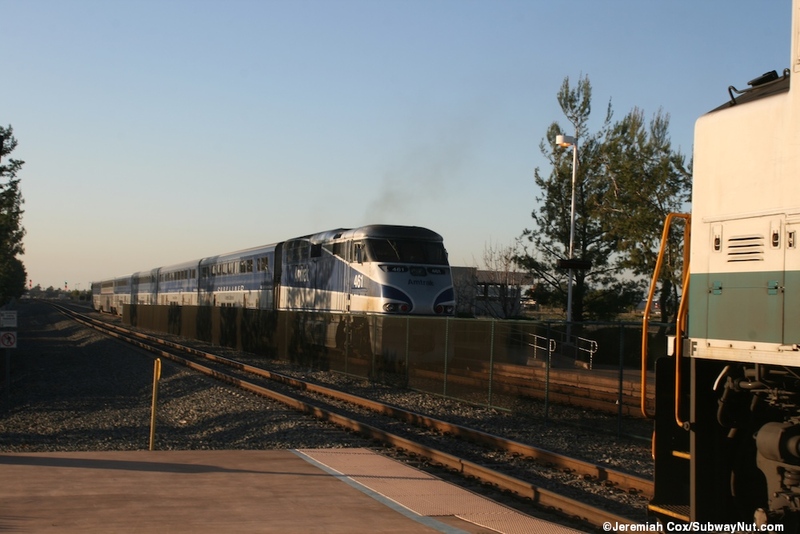 Amtrak's website has the station listed as unknown for parking space numbers.